Hi everyone! This month I have decided to participate in the 2015 Blogtember Challenge hosted by Bailey Jean of Brave Love blog! For this challenge she has come up with thirty daily prompts to allow bloggers the chance to consistently blog throughout the month of September. For Day 1, we get to introduce ourselves however we like! For those who have been around for awhile, this will be some old news, but it's all fun so don't worry! My name is Ariel, and I'm a 24 year old lifestyle blogger. 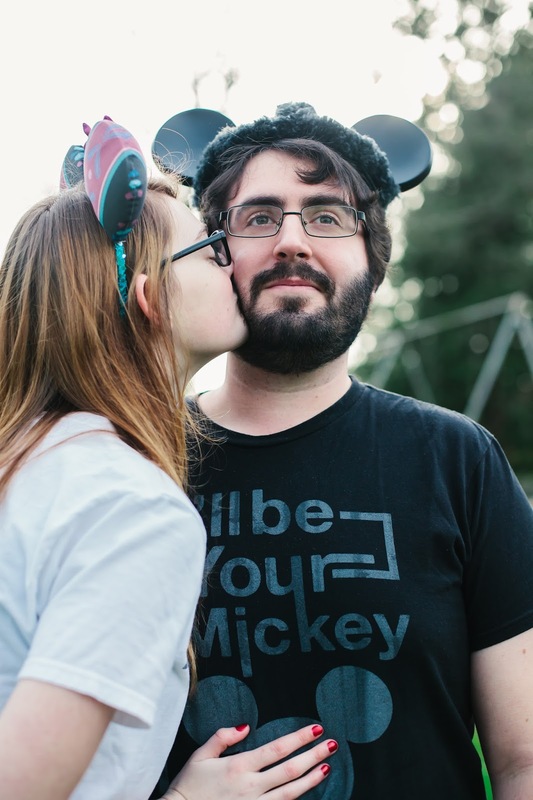 I focus on my love of Disney, my struggles with mental illness, and snippets of my engagement and upcoming wedding. I'm engaged to Nick, the love of my life that I met while participating in the Fall 2013 Disneyland College Program. We are currently waiting on acceptance letters for a second program in Walt Disney World for Spring 2016! It could come as early as today or as late as November so it's a pretty impatient waiting game for us right now. I spend most of my free time communicating with the blogging community, wedding planning, or just relaxing with family. I'm a busy girl so I'm always on the go! I'm excited to hopefully be sharing a post every day with you this month, so stay tuned for lots of content from me! congrats on your upcoming wedding! marriage is the best :) also, love those Disney hats.. so cute! SO cool. Love how you guys met! Such a sweet picture of the two of you. Can't wait to learn more about you through this challenge. Definitely look up the DCP! disneycollegeprogram.com :) It is lifechanging! So glad to find a fellow Disney fan! I have a couple friends who just started the Disney program. Sounds like a blast! So glad you've joined in the challenge! I love Disney! And yay for people attending DCP! It's so worth it :) Thanks for doing this challenge for us all! YES! Disney! I just separated from the company to go to grad school, but I am still in the area, and loving it! And congrats to you and your fiancé! Marriage rules! I love Disney too but it is so pricey!! Are you a runner? They have some great races!! Congrats on the engagement! And I had not idea there was a Disneyland Collage program?! How fun!! Right?! We love telling people about it! Oh my gosh! HOW ADORABLE!! I always wanted to do that program, but never had the time, so jealous!